Everybody say hello to the new addition to the d.b.s. family. As of January 1998, d.b.s. has got themselves a new bassist, Ryan Nordburg Honeybucket. We just thought you'd like to know so the next time you see us make sure to give the new guy a big, wet, welcoming kiss. d.b.s. have been writing new material like crazy, and will go into the studio in december to record approx. 14 songs for their new cd. As always, they will be recording with Cecil English at Profile Studios, so keep your eyes peeled! Did I hear an acoustic guitar in there somewhere? d.b.s. have released their new album "Some Boys Got It, Most Men Don't". On Sunday, June 27, they embarked on their tour to promote the new album, which will last into early September. Check the tour page for specific listings. A new, 9 song CD will be released before X-Mas on CRAP RECORDS. Email CRAP for more info. Also: d.b.s./The Cost split out soon! The release date of the new cd has been delayed, due to complications. Expect it around late Spring/early Fall, but we'll keep you posted. The new 9 song cd-ep "If life were a result we'd all be dead" is finally out on Crap Records. Order it from d.b.s. mailorder, Crap Records, or buy it from stores when it comes in the near future. d.b.s./the Cost split 7" is available from mail order! It was released on SELLOUT RECORDS, and will most likely only be available from d.b.s. or the cost. Oh and we're back from a great summer tour with American Steel! d.b.s. 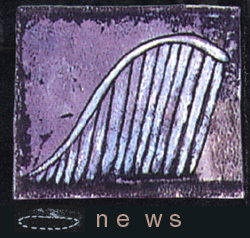 1992-2000. As of October 2000, d.b.s. has ended. All members are working on new projects, and d.b.s. will be releasing a 5 song cd on ACHE RECORDS in the near future. The cd will be the last 5 songs d.b.s. recorded. For more info on the release visit Ache Records Thank you to everyone for their support over the last 8 years. Ache Records will be handling the mail order for d.b.s. from now on. Visit the Ache Site to see what you can order. This page probably won't be updated again. Check out Paul and Andy's band THE RED LIGHT STING! AND, Jesse's band OPERATION MAKEOUT!